One of the consequences to the traditional doctrine of inspiration (and inerrancy, but we’ll get to that later), is that it has reduced the Bible to a cookbook where every ingredient has to be exactly measured or the cake turns out wrong. If every word and individual letter is exactly as God wanted it to be, then there must be a reason for such exactness, and therefore, to truly study the Bible, we must drill down to get at the meaning of every individual letter and word. In other words, the doctrine of inspiration has created numerous scholarly arguments about spelling and grammar in the biblical text. Personally, I love this sort of stuff, and have engaged in some of it myself in this very series. But I sometimes wonder what Jesus would say about it. On the one hand, He does talk about the importance of individual words (Matt 4:4), and even individual letters (Matt 5:18). 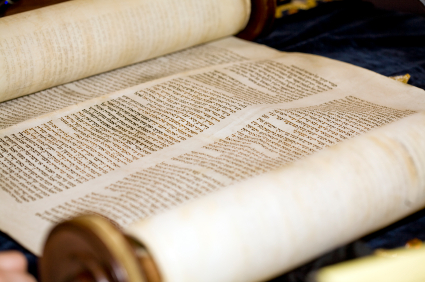 How is it that the Jewish religious leaders searched the Scriptures? Their goal in studying Scripture was to learn how to live life properly. From their study, they developed guidelines for living called “Halacha” (lit., “How to walk”). These guidelines were spun out of Scripture and established by Scripture. To develop Halacha, a famous Jewish Rabbi named Hillel wrote Seven Rules of interpretation to guide the Jew in studying Scripture. These Seven Rules were much in use at the time of Jesus, and formed “a system of schematic, syllogistic, and scholastic wrestling of the text in which justifiable concerns are immediately choked by a tendentious over-minuteness which cannot do justice to the living realities of the statements” (TDNT I:755). In other words, the Jewish religious leaders focused so much on the system of studying Scripture, and how the individual words and letters of Scripture impacted their arguments for a particular viewpoint, that they ended up missing the entire point of Scripture. It wasn’t a case of missing the forest for the trees; they missed the forest for the individual leaves on the trees. If you have ever read some of the Talmud, you know what I mean. Why did they do this? Because they had such a high view of Scripture. They thought of the Law as more than inspired, that it was actually dictated by God to Moses. As such, God wanted every word, every letter, every stroke of the pen just as it was. Therefore, living the proper life as the people of God depended entirely on properly obeying Scripture, and properly obeying Scripture depended entirely on properly understanding Scripture. I sometimes wonder as I get involved in some of the heated debates and arguments about single letters of Scripture, if Jesus is listening to it all, shaking His head, and saying, “What are you doing? You’ve missed the entire point!” This is missing the forest for the leaves. What is the entire point? It’s Jesus, of course. He says in John 5:39 that the Scriptures testify of Him. But even here, I don’t think this means that we go to Scripture and argue about what it means so that we can learn more about Jesus. This is getting closer to the truth, but it still misses the forest for the trees. The point of studying Scripture, and the reason for the existence of Scripture in the place, is not so that we can argue about who has the best beliefs, but so that we can begin to live and look like Jesus in the world. I am not sure that arguing about individual letters of individual words (as fun as this is) will help us look like Jesus. 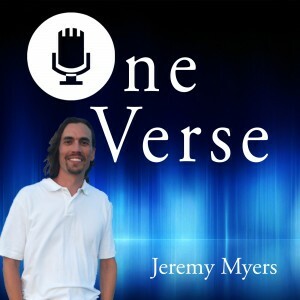 No disrespect Jeremy, but I would have to heavily disagree with much of these series of posts regarding the inspiration of Scripture. I’m just not sure how to reconcile why we should believe anything in the Bible if it was purely man-made (which it is if it is not inspired by God). I’ve been rather confused on how to harmonize the belief that the Bible is inerrant, but not inspired. And I find it too problematic to not to believe in Biblical inspiration. Nonetheless, there is no need to get into a big debate about it here. I pray that we will both continually seek Jesus as we attempt to encourage others in their faith in Christ. After all, that is what is most important. Feel free to disagree! Ten years ago, I would have disagreed with myself also. Me from then and me from today would have had quite a debate! The traditional Christian answers fail miserably in answering these questions, especially in light of how other religious answer the same questions in exactly the same way. You are studying religion and philosophy, so you must know that Mormons and Muslims (for example) use many of the same arguments about the Book of Mormon and the Koran as we use to defend the Bible. How do you answer this? You are correct in saying other religions say the same things about their texts, however, one of the biggest issues with these other religions is that they lack real historical credibility. Doctrinally, all other world religions contradict themselves and problematically present a God that philosophically cannot exist, and least not a good that is all loving, all powerful, and all good (wow, too many big words!). And I word argue that a God that is not those things cannot exist. But as I said, historically the Bible has a lot going for it. Siddartha Gautama (the Buddha), for example, can be easily argued that he never even existed. So many of the Buddhists texts that attribute sayings to him would be lying right off of the bat when they attribute things to what he said if he never existed. In Islam, it argues that Mohammad could not read or write, but miraculously one day begin to write the Koran after getting revelations from Allah. But in the Koran it speaks positively of Jesus as a good person. Anyone who has studied Jesus’ teachings at all would tell you (and I know you would agree) that Jesus cannot be classified as a “good person” if he was lying about the claims that he made. This is how many Muslims become Christians. They start to read the Bible since the Koran speaks well of Jesus, and then learn that the Jesus of the Bible is not the Jesus that the Koran presents (I spent 6 weeks in Lebanon last summer and talk to former Muslims who had this experience). And there is no way to tell if Mohammad really didn’t know how to read or write, or that he even wrote any of the Koran, so it takes more faith to believe that than the Bible. I say that because history (when studied fully) is a sort of “wealth of riches” in support of the Bible. Philosophically, the Bible presents a God that really could exist, despite all the evil in our world. The disciples, for example, were all murdered (except John who was tortured) for their belief that Jesus really did rise from the dead. No, this does not support the inspiration of scripture, but it gives the writers of scripture credibility that all other religions do not enjoy. 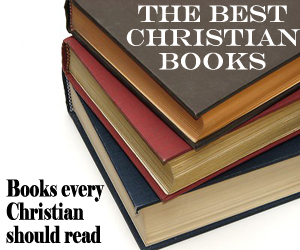 For me, I believe in the Bible because the Christian religion seems the only plausible one. To claim (as all other world religions do in some way) that you must earn your salvation through works is problematic. It seems that undeserved grace is the only way any human would really be able to stand before God and be in his presence for all of eternity. Ha, I’m not sure how much sense that all made. I guess my main point is this, I find that all other religions have too many other problems with them, therefore I cannot even begin to think that their scriptures were divinely inspired. For me, so much Christianity and what the Bible says proves true in terms of how we should love and serve people, deal with pain, etc. Yes the belief in inspiration takes faith, but it is much more believable based on other Christian teachings than to believe in other religious texts were inspired. I pretty much agree with everything you said! I am just trying to question what I’ve been taught, and these posts are the way I’m doing it. I find it beneficial, because then I get great feedback like yours. Why must the Bible be either “inspired by God” (I wonder what your definition of “inspired” might be) or “purely man-made”? 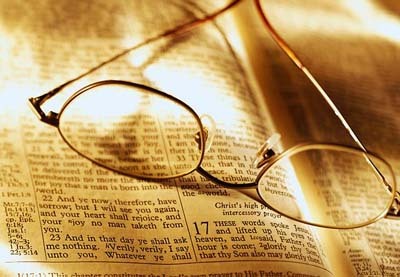 Do you also say that “if you question what that one word or verse is saying, then you’re questioning the entire Bible”? Is there no room for anyone who understands these issues differently? I first want to say that I don’t want to cause a debate, I simply just disagree. I readily admit that I do not anything for absolute certain. 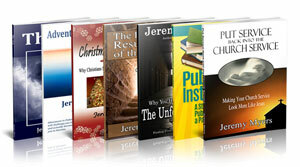 My definition of inspired is simply that the authors of Scripture were being guided by the Holy Spirit as they wrote. There is nothing wrong with questioning things in the Bible, we all do that. I didn’t say there was no room for those who disagree with me, again, this is simply my opinion on scripture. If you question a word or a verse, that does not mean you are questioning the entire Bible. I only wonder that if the Bible is not inspired, then it has to be man-made. I of course can be wrong, I just don’t know how to not view it as man-made if it is not inspired (if that makes any sense). We’re all trying to think through this, and undoubtedly our understanding is incomplete. If I thought you were one of those “here’s the way it is and if you disagree with my perfect understanding you’re wrong” kind of people I wouldn’t engage in a conversation with you. My perspective is that the Bible has its origin in God, and that God used normal human thought processes to communicate His message. It is one of many methods by which God makes Himself known to us. The Bible is true, but also reports the perspectives of those who composed it. Those perspectives probably differ somewhat from modern perspectives. Many of the modern concepts we use to try to use to understand and explain the Bible are inadequate for the task. I agree. I think in some unique way, that the Holy Spirit guided them as they wrote, but that the writers still used their human “thoughts” as well. For example, when Joshua prayed for the sun to stand still, we now know that it wasn’t the sun but the earth that would have stood still. This doesn’t make the Bible “wrong,” it just allows for the writers perspective on things. For example though, I’m not sure how Moses could have wrote the pentateuch (first 5 books of the Bible) without guidance from God’s spirit. 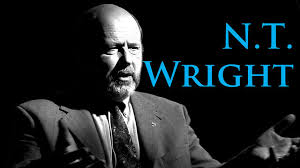 I don’t know how we would have known all of the things he wrote about from his own wisdom. When I say “man-made,” I just mean that it was literally made from man (if they weren’t inspired as they wrote). Perhaps there is another way of saying this that doesn’t sound so negative, that’s just how I was thinking about it. I’ve been searching for a better way to explain what I’m thinking on this, and you nailed it in this comment. Thanks! Love it. I think you nailed it. Scripture is important, but when we begin arguing over leaves we lose the full image of God. It’s like arguing over grammar in a story and missing the message of love conquers all. Thanks Virginia. When Bible grammar keeps us from loving others, we should stop reading our Bibles! Thanks for the posts.. I have been enjoying them. Yeah, we’re all nuts. It’s just helpful when we realize it. I have really been enjoying this entire series and I think that maybe your last paragraph should be the summation of all of it. You know how I feel about having all the theological answers and not getting out and making an impact on our world. I am convinced that as imortant as the argument of inspiration and inerrancy is, that it pales in comparison to showing love to those around us (1 Cor 13). I really think that this is why Christianity has been marginalized by society as a whole, because our correctness of theology has not had a measurable impact on society. Just a few thoughts. You are doing a great job here, and I think that you are causing more than a few people to take a more careful look at what they believe and why. Keep up the good work. Ultimately, that last paragraph is my conclusion, so I’m glad you picked up on that. I still have a few more posts to go on Inspiration, but that last paragraph is where I eventually end up. I liked your post today about belief and practice. Great post! The thing I find interesting is how often we are told to pray and how often prayer is mentioned (in the old and new testament) and how relatively little scripture reading is mentioned. A perusal through the book of Acts shows that prayer was absolutely vital to the church in the first century. Obviously Bible reading is important, but Bible studies are far better attended today than prayer meetings. And from a Biblical perspective, prayer has a greater priority. 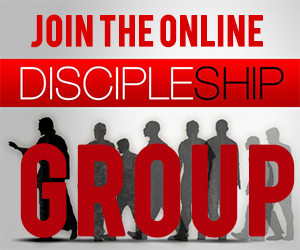 After all, the disciples didn’t ask Jesus to teach them how to study the Bible. They asked him how to pray! I think you hit on the main reason: the Bible’s primary purpose is not to be an “instruction manual” or a “how to” book; it is to introduce us to the God who died for us so that He could have an intimate relationship with us. This is really demonstrated in the Song of Songs, a love song by the Creator to His Bride. He doesn’t want to just teach us how to be better people; He wants to make us better people through the indwelling of His Holy Spirit and the very Word of God. One of these days I’m going to write a commentary on the Song of Solomon. Maybe after I finish with Luke…in about ten years (It’s taken me three years to get to chapter 6). You’ve done a really good job with this series! It is easy to get lost in studying the Bible. But what’s the purpose if we don’t really believe it? Unless we’re following Jesus and living out Jesus’ example, doing as He says (not just the parts we pick and choose), we don’t really believe the Bible, do we? (In that case the issues of inspiration and inerrancy are moot.) Then Bible study degenerates into mere religion or some sort of “Halacha”, making a list of how the behave or think, some sort of a morality system. Great points, Sam. This is what FedEx blogged about today as well. I often find that trying to practice what I believe ends up changing my beliefs! So those who only study the Bible and don’t try to live like Jesus, not only degenerate into religion, but a warped and twisted religion at that! Have to admit, I skipped the comments… but great post. Really appreciate your thoughts. This past year I heard someone say, “We’ve ascribed attributes to Scripture that should only be ascribed to God.” I just can’t shake it. And your post digs in to one of the core issues. That is a great quote. Any idea where it came from? Wish I would have copied it. It was in a blog post, but I don’t remember where. Sorry! I totally enjoyed following along in that discussion. Thank you all. It reminds me a little of my recent blog post “of Talkers and Doers.” As for the question, “Does Jesus Condemn Bible Study?” I would have to say both “No” and “Yes.” No, I don’t believe that He does if our motive for doing so is to lead us closer to the Father. But “Yes” He does if our Bible STUDY doesn’t also directly lead us to Bible DOING. If there is no “doing” that comes out of the “study,” then the acquired knowledge will only puff us up, and we all know what the Bible says about pride. Right. I study the Bible LOTS. But I hope it leads me to be more like Jesus. I think this is a good form of study. 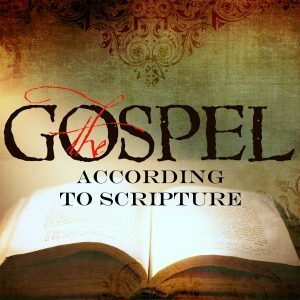 I believe that the gospel was written in such a manner that we as sole proprietors of our own mindset, heart, and personal experiences which differentiate with each individual on this planet need to focus on His word as it directly affects our lives. If we are guided by the Spirit Man and know God’s heart….we will hear His voice and awaken to the reality of His word. Arguing about interpretation is useless and has no bearing on the actual meaning that God intended when He gave instruction through the Bible for individual man/woman. 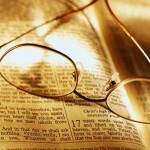 I read, I listen, I study, but ultimately I interpret His word as it applies to my life and life experiences. How can you tell someone what it is like to face death and survive, how can you explain what it is to go through child birth, each successive trial or experience, whoever good or bad, is a reflection on our personal perception of the written word. I can never explain a passage to you if the Lord expects me to receive a word intended just for me! Arguing about literal interpretation overrides the true intent of the Bible….it speaks to every person who has the Spirit Man embedded in his heart …. for this makes His words clear to those who listen and hear and helps to guide our lives. I trust God to guide me in my life and guide my understanding of the scripture as He intended me to interpret it. The Bible is meant to guide us, help us, and revive us, as we advance in our walk to meet our Creator. Bible study allows me to listen to other interpretations, thoughts, life experiences relative to, but ultimately leads me forth to my personal interpretation and useful meaning in my life. The one God intended for it to do. Nothing is happenstance…it is always His guidance and intent for us if we pray, read, and listen to His word whether it comes from the Bible or comes during pray.